No hidden fees, real prices for clean cars with real people. Great financing options available. 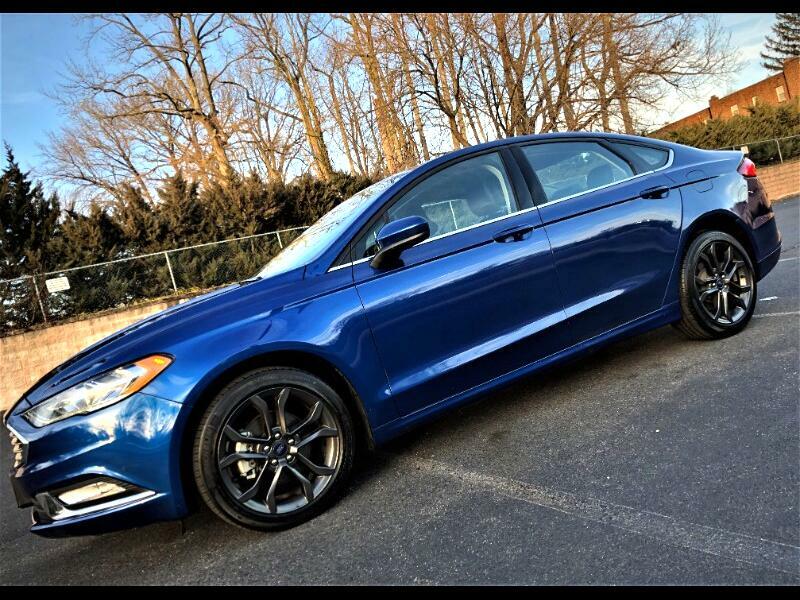 2018 Ford Fusion SE with only 9,684 miles loaded with Technology, Convenience and Comfort. Equipped with SE Luxury Package, Appearance Package, Cold Weather Package & Technology Package. Mpg ratings of 23 city/34 highway. One Owner, never involved in any Accidents, previously used as Personal Lease Vehicle (as opposed to Corporate Lease and never part of a Fleet/Rental Company's Inventory). Equipped with Leather Seats, Navigation, Backup Camera, Android Auto & Apple Car Play, Remote Key-less Start, Premium 18" Magnetic Paint Factory Alloy Wheels, Rear Spoiler, High Resolution Touch Screen Center Console, USB port, AUX port, Bluetooth, Streaming Bluetooth Audio and so much more. Ford's Bumper to Bumper warranty still active until July of 2021 or until vehicle has 36,000 miles. Ford's Drivetrain/Powertrain warranty still active until July of 2023 or until vehicle has 60,000 miles. Ford's Emissions warranty still active until July of 2026 or until vehicle has 80,000 miles. Eligible extension of Bumper to Bumper of coverage with duration’s up to year 2027 or until odometer reads 125,000 miles. Factory Bumper to Bumper warranty still active until July of 2021 or until vehicle has 36,000 miles. Factory Drivetrain/Powertrain warranty still active until July of 2023 or until vehicle has 60,000 miles. Eligible extension of Bumper to Bumper of coverage with duration’s up to year 2027 or until odometer reads 125,000 miles.